The LinkWithin Related Posts With Thumbnails Widget is highly popular among bloggers using every famous blogging platform like blogger,wordpress or anything else.With this widget no code needed to add to your blog and the script will automatically generate the posts to be listed. 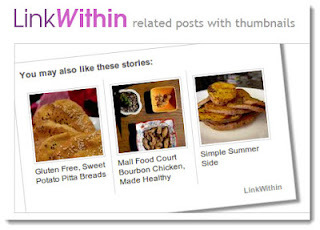 LinkWithin is easy to use and effective to build your blog audienceThis widget will surely make your blog more user friendly on the eyes of your audience..However there are some changes you may like to make to the widget in terms of appearance, Text and Position of the widget.In this post we will see how to do all these things.A screen shot of linkwithin related post widget is given. 3. Keep the width to three stories i.e three thumbnails if your post width is less than 500px else you can go for more upto five. 5. You can Change the Title to Related Posts or anything you may want. 6.Now On your layout page move the widget below the posting area as shown below. 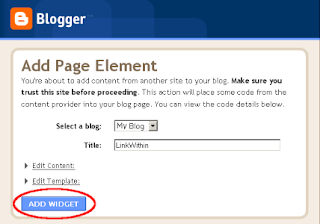 The widget has now been added to your blog. Replace Related Posts: with any text you want. Log on to dashboard>template>edit html>proceed and then search( cntrl+f) for ]]></b:skin> code tag and paste the below css code just above it. I switched to blogger because many of the add-on features wont work on wordpress. But some say adding several of these will just slow down the loading process. Well...just have to try it then. Thanks again. No,this linkwithin widget doesn't effect your blog loading time,cause it loaded on the linkwithin servers. Thanks so much -- although I still can't get the linkwithin link off of my blog. Any other tips? Followed the steps and it worked out fine. But I can't see he post title below the related post thumbnail. Help! me too followed the above steps, and was able to install linkwithin but the related post thumbnails are blank. they do not show the post title.